For more than 5 years Siri has been amazing the iPhone users with its service from the day when it was integrated into iPhone 4S. Natural Language Processing (NLP) is the key behind such an intelligent personal assistant by Apple. It was designed with an objective to understand all the voice queries raised by humans and convert them all into the text and answer the questions back. Along with them making recommendations and performing actions were also enabled in the later versions. Now the most exciting announcement has been made by Apple. Siri can now be integrated along with the third party apps! It already started creating ripples all over the application market. 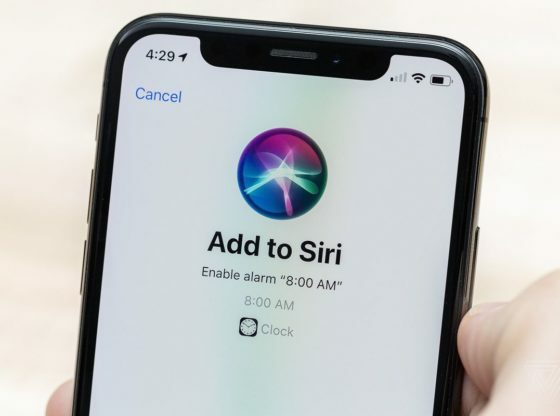 The iPhone app development company is now trying to extend the utility of Siri to their app getting the niche ahead of their other competitors. Ameliorating the user experience has been the main goal of several apps and developers are trying to make the utmost use of the Siri. ‘Hey Siri, please pay my electricity bill via payment app’, ‘Hey Siri, send a Hi message to Mom’ similarly the things are going to turn into voice commands. No more manual touches to get the work done, all that you need to do is press the home button in case of older versions and press the side lock button in case of new version iPhones and spell your command to get it done in no time. All this can be achieved only when the Siri is integrated with the third-party apps. This is possible using the Sirikit announced by the Apple. To exactly mean it, Sirikit is a boon to the third-party app developers to get the Siri integrated with their app at lessening the burden. It is a framework to achieve the integration at ease. As discussed it is a framework by Apple to aid the iOS app developers to encompass Siri at ease. But the restriction is that the Sirikit is available only for iOS 10 and the newer versions. Imagine the situation of the developers how hard it is going to be. For the users getting the task done at a command may look much exciting and a cake walk. On the other hand for developers complication is overloaded. But thanks to the Sirikit that reduces the tough task. The developers just have put in the functionality to be obtained the kit automatically will take care of the conversational aspects. There are all other restrictions imposed over the third party integration by Apple. It has listed some fields only for which the integration of Siri is possible. Lists, visual codes, messaging, ride booking, payments, workouts, VoIP calling, climate, and radio. The apps falling under one of these criteria can only enjoy the Siri. A term called ‘intent’ is introduced along with the kit which are the activities that are possible by Siri to perform. Now let’s seek the answer for how to integrate Siri with the third party app. But remember that the app must fall under the intents which are possible by Siri to perform. In the case of the iOS, there is the technical complexity that lies in as that the two applications cannot interact in this particular platform. At this point enters the Sirikit, which serves as an intermediate between the two apps to interact with one another. This is the one that states how the Siri and the app interact with one another. It is a much crucial part in the integration. This comes as a handy feature for the developers to aid them in customizing the appearance of the Siri. There is already a representation available for Siri but in case if the developers wish to vary the style according to their style then the intent extension can serve them. Is it possible to edit intents? Suppose if the intent is added then the info.plist of the extension is edited in order to let the app know about the requests to process. Additional information like title, category, and description can also be added to aid the app in understanding the acceptable intents. When a prompt with Xcode appears to choose Siri. going to turn the app market upside down in the forth coming years.